Smooth, shiny and sleek hair. Courtesy of hours and big bucks spent either at a salon or in front of the mirror using expensive styling tools. Who cares when you look like you’ve attained good-hair-day nirvana, right? If time and moolah isn’t an issue, this next one will definitely make you think twice before you reach out for that flat-iron or book a blow-dry appointment. Damage— heat-induced mechanical and physical damage to your precious tresses. 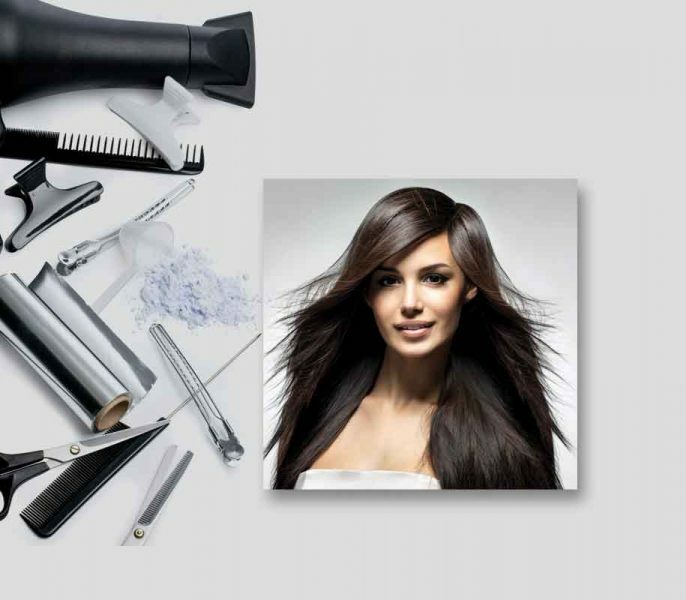 Frequent heat-induced styling can cause breakage, split ends, brittle, dry and frizzy hair. We’ve got experts to give us tips on how to wear or style your natural hair heat-free. Air-dry hair: Remember Willow Smith (Hollywood ace Will Smith’s daughter) and her song Whip My Hair and the now famed f lipping hair technique from the music video? Well, that’s what you have to do once you’re out of the shower. Mumbai-based celebrity hairstylist, Ronella Santhmayur, says, “I know it sounds a little crazy, but shaking your head up and down for a few seconds helps hair dry quicker.” Who knew head banging had such perks? She also feels that it’s best to wash hair at night and let it air-dry naturally. Make sure to remove excess water before towel-drying, and try and use one with micro-fibres, which usually come in light and quick-absorbent fabric. “This will reduce the amount of static and dryness that comes from using a harsher fabric,” says Santhmayur. a major hair crime each time we wash it. Combing, that too, immediately after stepping out of the shower. “This can cause breakage,” cautions Santhmayur. 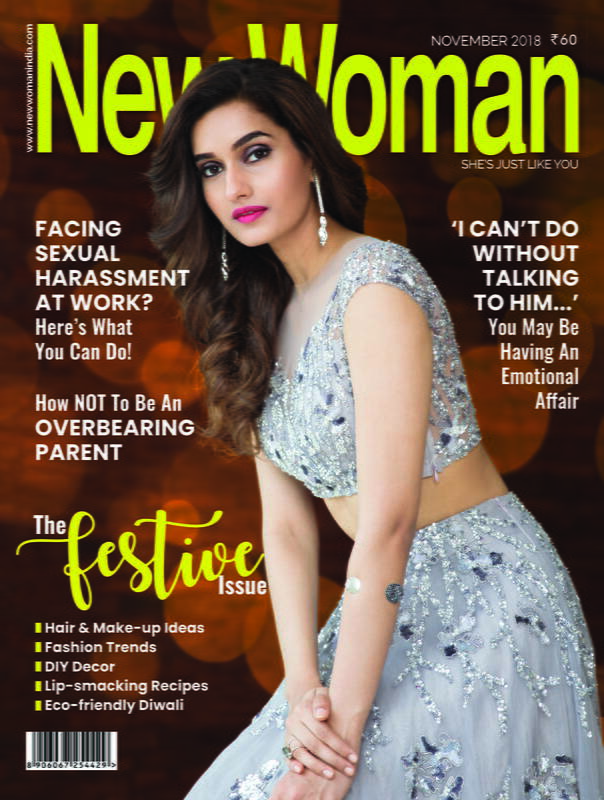 Latha Bhaskar, senior hairstylist, Naturals Salon, Bengaluru, says, “What most people don’t realise is that hair texture also is a crucial factor to consider, even while picking up something as simple as a comb. Natural styling becomes way easier if you get a few basics right.” She recommends a wide-toothed comb for wet, curly hair and a wet brush for straight hair. Now that your hair is prepped, get ready to style them with these following tips. Straight hair can be quite boring for some. Create some Boho-waves without much fuss or without heat-styling tools. Foam rollers: Foam rollers can help you get some beautiful waves. 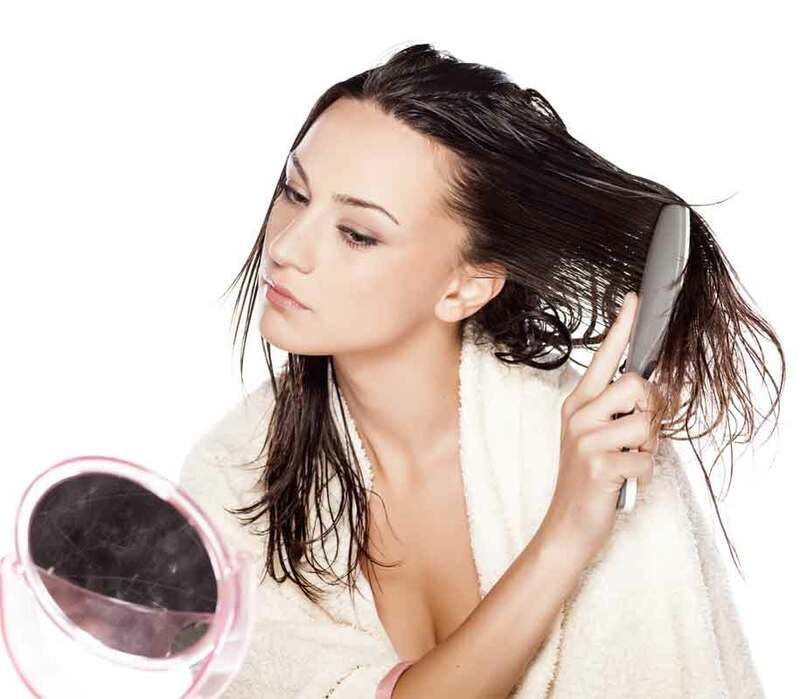 After towel-drying your hair, apply an anti-frizz serum or a leave-in conditioner before letting it air-dry overnight. Use the foam rollers while you sleep, and cover it with a silk scarf and wake up with natural waves. Braids to the re scue: After washing your hair with a smoothening shampoo and conditioner, towel-dry hair and detangle it with a wet brush with natural. bristles. “Again, use just a spritz of leave-in conditioner from mid-length to the ends of your hair. Separate hair into three sections and braid each section from the mid-length to the end, to flaunt beautiful natural waves the next morning,” shares Santhmayur. The scrunching technique: On damp hair, apply a hair mousse (only a coin-sized amount) and gently massage it through the length of the hair. “Flip your hair upside down and scrunch it, gradually progressing towards your scalp. Once dry, they will yield soft and natural waves. You can scrunch any type of hair texture, the results will vary adhering to the natural texture of the hair (straight will have softer, wavy hair will have a bit more definition and curly hair texture will have more bouncy and chunky ones),” explains Bhaskar. Set it with a curl-defining spray or a heavy-duty holding spray. When it comes to hair, the grass (or shall we say, hair) always seems straighter or curlier on someone else’s head! Straightening hair without heat-induced styling is a bit tricky, but not impossible if you have the time or patience. Magic with Bobby-pins: Wash your hair with a smoothening shampoo and conditioner. On damp hair, apply a few drops of anti-frizz serum or Moroccan or coconut oil and run your fingers through the length of your hair. Then, apply some leave-in conditioner and make a deep side-parting and divide the hair into two sections. Tie the hair on one side with an elastic. Then, using a fine brush with natural bristles, start combing the other section as flatly as you can. Then, tightly secure it with bobby pins and wrap your hair around your head. Depending on the thickness of your hair, divide the remaining section into small sections further, and repeat the process till your whole hair is wrapped around your head in one direction and secured tightly. Finally, cover your hair with a hair net to compress and protect it while it dries naturally while you sleep. Flat and straight hair guaranteed. Wavy hair is a great texture that is easy to mend to suit your mood and needs. It adapts itself to straight or curly. Do the twist: Beach waves have a soft and romantic look. Use a leave-in conditioner or a curling mousse on wet hair. Divide the hair into two sections after taking a middle parting. Roll each section into a twist, secure the ends with an elastic without letting go of your grip and pin it at the crown. Repeat the same on the other side (this will look like a simplified and twisted version of a Halo braid). Wear a hair net and let it dry naturally while you sleep. Undo the twist the next morning. For added waviness, use a texturising sea-salt spray and scrunch the hair at the ends. A quick look at some products that can reduce the use of heat styling or heat-induced damage to a great deal. A mild shampoo and conditioner duo will give you the perfect foundation for heat-free styling by keeping the frizz in check. * Oils: A few drops of light and enriching or styling oils are a great way to add shine without flat-ironing hair. * A curl-enhancing mousse: Great tool to add some texture to sleek hair. “Keep a check on the amount you use, as it can get a bit heavy,” explains Santhmayur. * A leave-in conditioner: Not only cuts the frizz out but also keeps humidity from wreaking havoc, thereby keeping hair conditioned and smooth. * A high-definition curl spray: Can be sprayed on damp hair to create texture or used to set curly hair. atural texture without the use of too many other products. * A detoxifying shampoo: Regular use of styling products can cause product build-up/residue that can cause sensitive scalp. * Hair spas: Deep-conditioning and protein hair treatments also give your hair a shot at rebooting itself. No one’s asking you to ditch your expensive blowdryer for good. Instead, give your hair a break, say every two-to three weeks from heat styling. The results won’t be as fine, but your hair’s health will considerably improve.